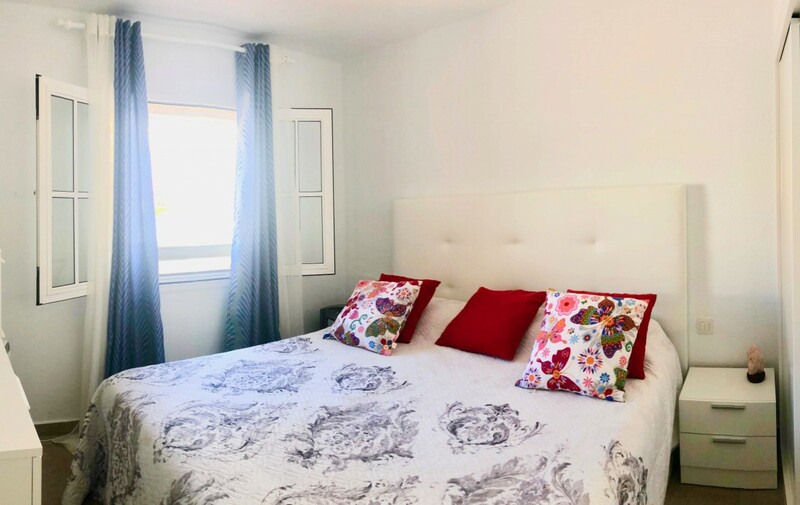 Airconditioned duplex apartment with 2 double bedrooms and 2 bathrooms (one with a bathtub and the other with a walk-in shower). 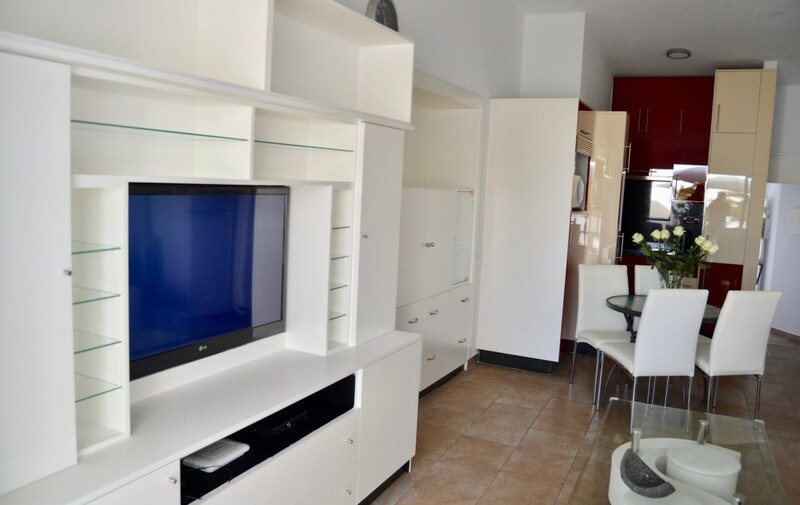 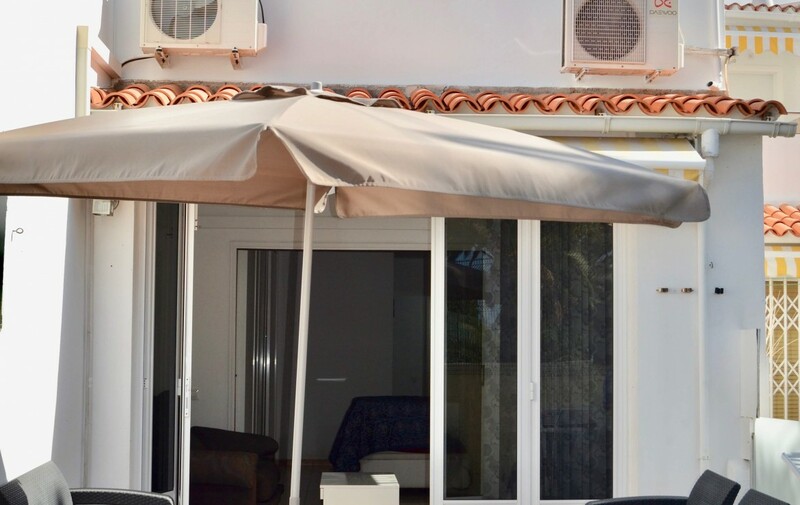 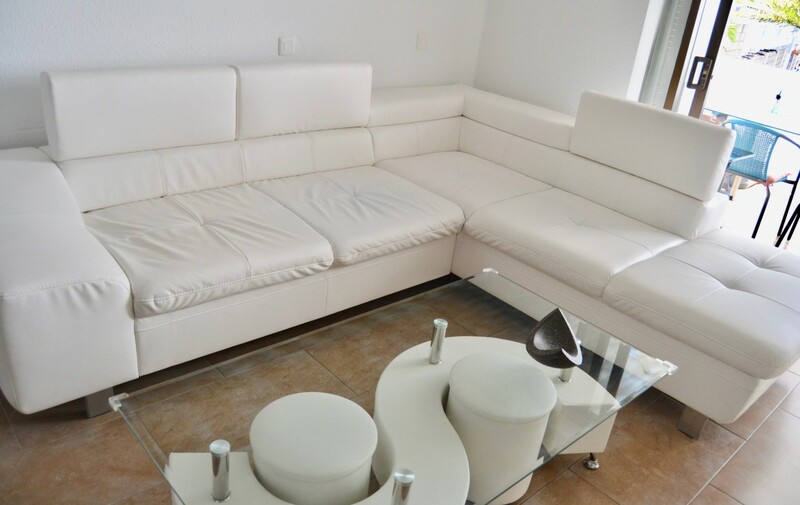 Living room is combined with and kitchen/diner all completely refurbished. 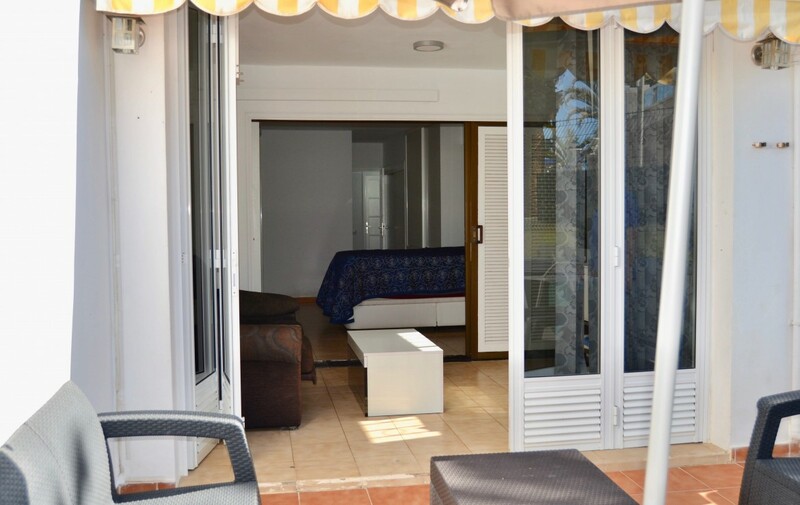 One double bedroom and bathroom is on the same level as the living room with a terrace leading from this. 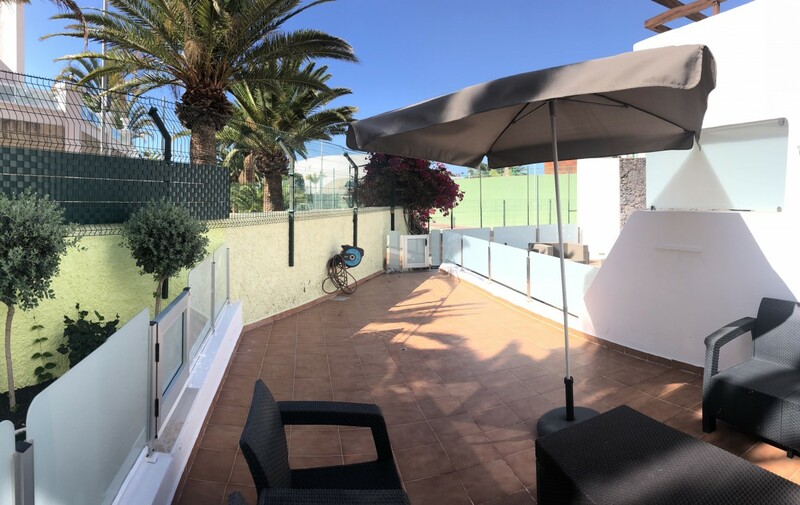 Downstairs is the master bedroom with an ensuite and a large terrace that has a gate which leads to the pathway and pool of the gated community. 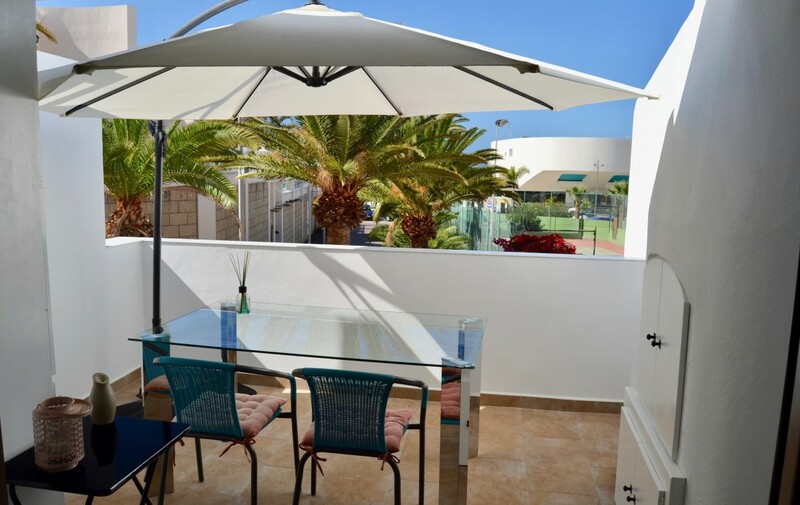 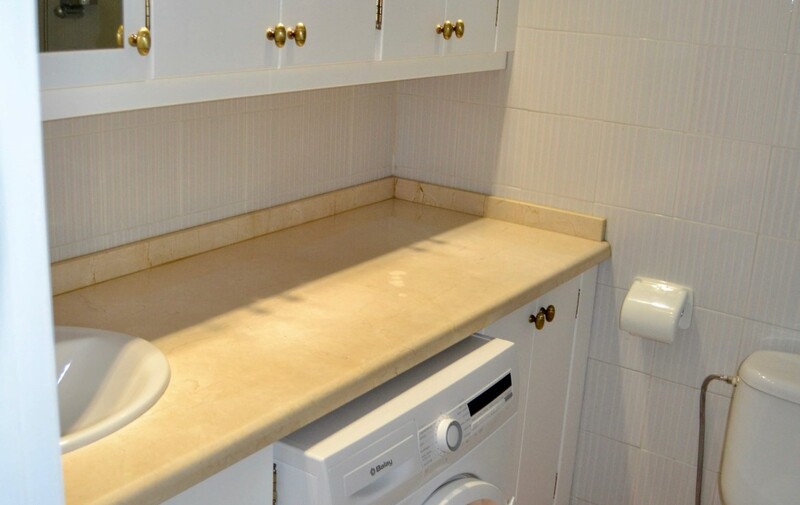 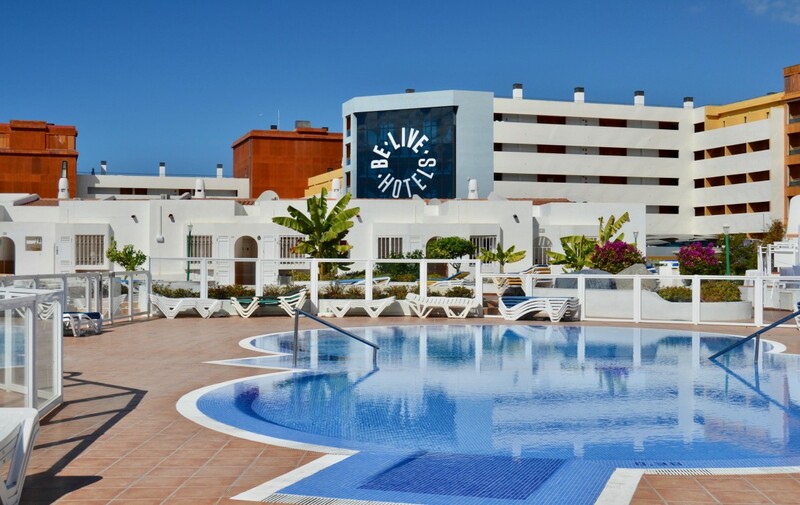 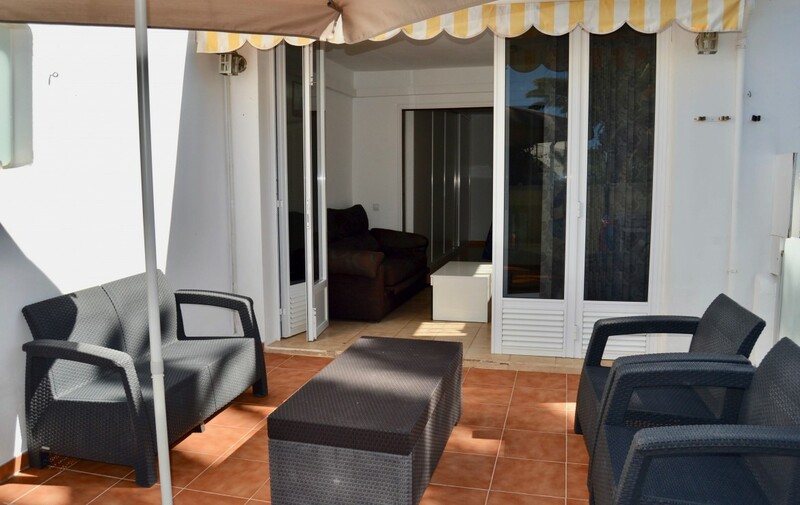 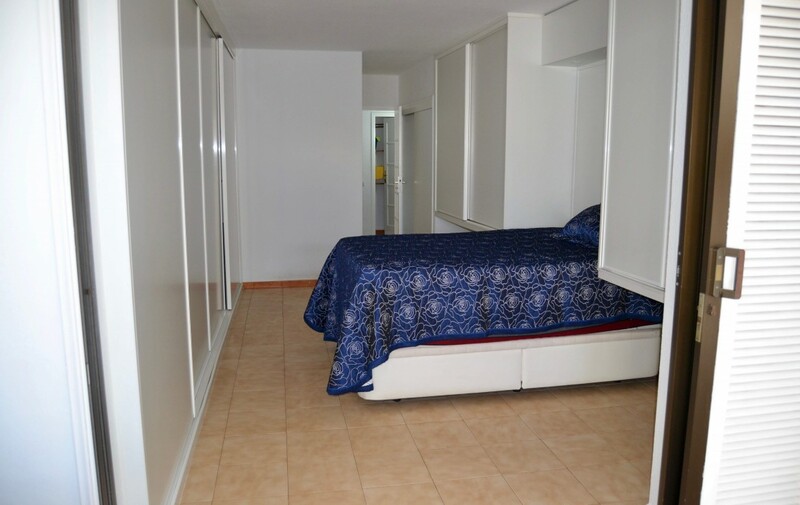 The complex is located close to San Eugenio shopping centre and the beach. 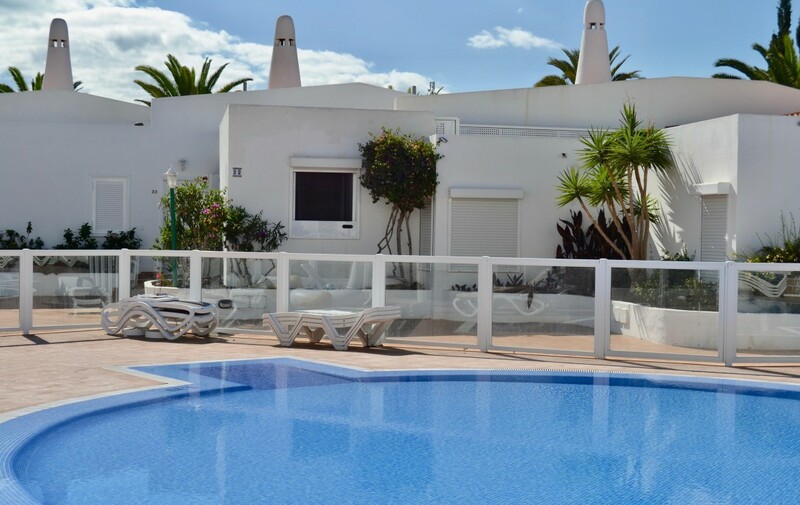 It has 2 communal pools, one heated, cctv, sat tv.